'Singing in the rain' takes on a whole different meaning with Dresden's singing wall. 'Singing in the rain' takes on a whole different meaning with Dresden's singing wall. 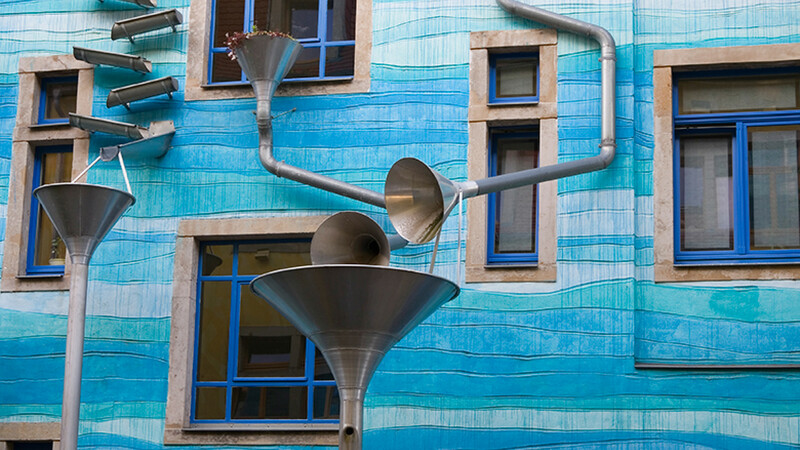 Each time it rains (which, let's face it, is pretty often) the drains and funnels attached to a colourful house in the city become musical instruments as part of an art project. We imagine that if there were one in London, it'd never shut up.